Motorola Droid aka Tao aka Sholes Launching October 30th ? BGR just got a leaked Verizon Release Calendar that points the release date for the Motorola Droid aka Tao aka Sholes as October 30th. As in the end of this month. Whoa. To play it safe, the leaked Calendar suggests that October 30th is really the 'target' release date so we don't know how on track Verizon and Motorola currently are but a Verizon Android phone releasing between the Sprint HTC Hero and T-Mobile Motorola CLIQ is as competitive as it gets. 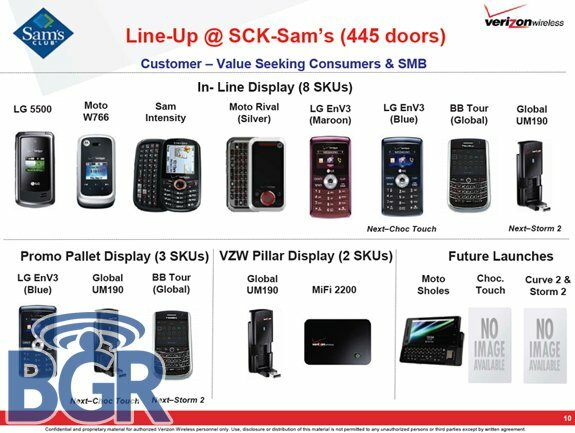 BGR has also received a slide showing that the Motorola Droid aka Tao aka Sholes is at least on track for release 'before the holidays' at Sam's Club. So even if it's not October 30th, it seems like the Verizon Motorola Android device shouldn't be too far off. hit the jump to see the picture of the leaked slide!